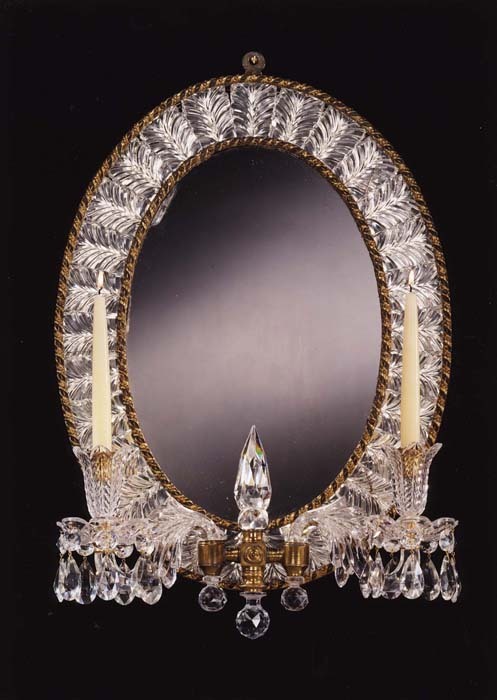 A most unusual English mid-nineteenth century glass girandole mirror still retaining the old finish. 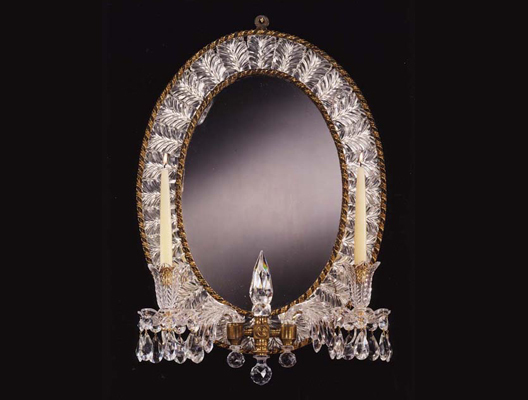 The oval mirror plate surrounded by a border of Prince of Wales feathers decorated with intricate varnished metal mounts. From the base of the mirror plate protrude two arms in cut glass from a central brass work and glass finial. Height 26in (66cm). Width 18 1/2in (47cm).